OXFORD, England (CNS) — Church leaders and organizations in Africa, Europe and the United States said it would be disastrous if U.S. President Donald Trump issued an executive order telling companies they no longer had to disclose whether their firms use “conflict minerals” from Congo. 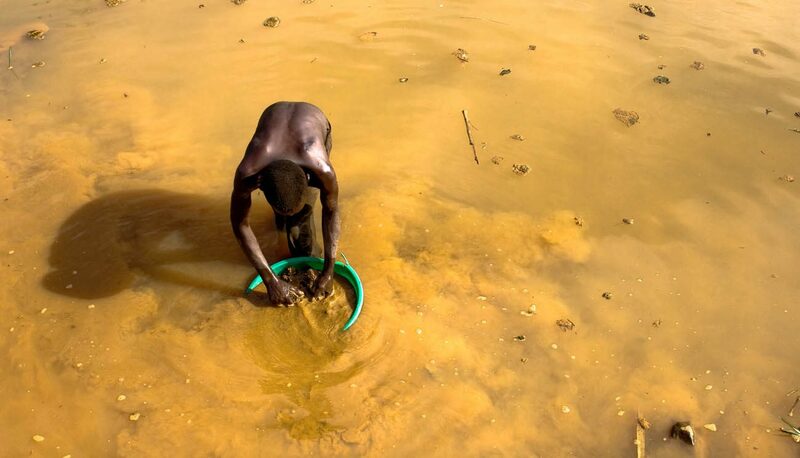 Western firms have been accused of working with violent gangs in Congo to obtain minerals used for producing mobile phones, laptops and other consumer objects, and of allowing trade in resources to perpetuate human rights violations. In the United States, the chairman of the U.S. bishops’ International Policy Committee wrote the acting head of the National Security Council urging Trump not to suspend the rules related to Section 1502 of the Dodd-Frank Act. “Other Western countries have since adopted more modest regulations, and we fear the consequences if this law is now suspended,” he told Catholic News Service in mid-February. He said if such an order were signed, Congo’s bishops would work with church organizations in the U.S. and Europe to have it reversed. The 2012 Securities and Exchange Commission ruling, required by Section 1502, does not prohibit companies from buying such minerals, but was designed to force companies to disclose the chain of custody of such minerals in an effort to keep them from helping armed groups, particularly in Congo. As with other executive orders signed by Trump, a draft was leaked to the press. The draft called for the SEC ruling to be suspended for two years and for the government to review ways of breaking the connection between armed groups in Congo and the sale of these minerals, often used in high-tech devices, including cellphones. “Too often people in countries rich in oil, gas and minerals haven’t seen the benefits of their own natural resources — and it was the U.S. which led the drive to ensure extractive companies had to be more transparent,” Lindsay said. “The U.S. provisions have sparked the passage of similar transparency laws, regulating use of conflict minerals in global supply chains — and international standards for businesses are here to stay,” she said. Congress has already passed, and Trump has signed, a two-year suspension of another section of the Dodd-Frank bill, which required oil and gas mining companies to publish what they paid foreign governments in countries in which the companies operated. Bishop Cantu had urged Congress to reject the legislation. Opponents of the Dodd-Frank provisions said the disclosure rules cost jobs and put U.S. companies at a competitive disadvantage, and had worsened, rather than reduced corruption, violence and hunger in the developing world. He said research by the Congolese bishops’ Natural Resources Commission at Walikale, in Congo’s North Kivu province, showed extraction of minerals had been “taken over and militarized” by rebel gangs. Contributing to this story was Barb Fraze in Washington.